The Windy City is a destination of icons—famous foods, sports teams, architectural wonders, and historic blues bars. It’s a multifaceted metropolis with a lot going on, both on and off the tourist path. Here are a few ways to experience Chicago like a local. Hit the waters of Lake Michigan during a private sailing excursion along Chicago’s stunning lakefront. Explore Chicago’s top-notch craft beer scene with a ride on the Brewery Barrel Bus. Grab a paddle and go kayaking at twilight to watch the fireworks over Navy Pier. 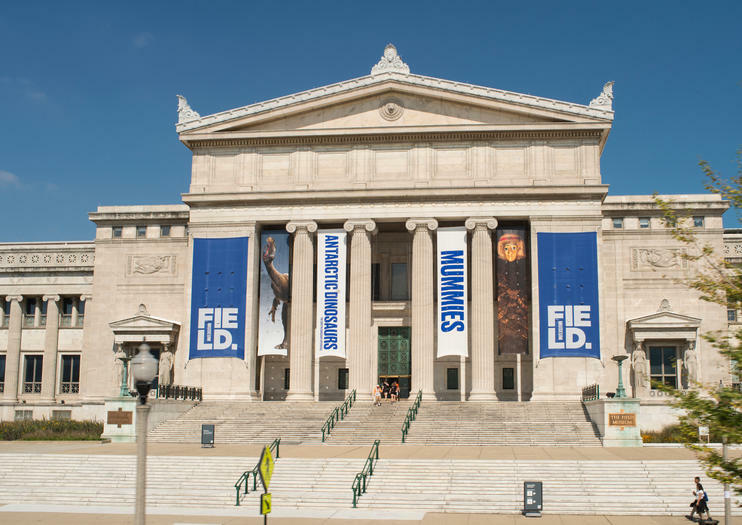 Skip the line at one of Chicago’s top museums, including the Art Institute of Chicago, Alder Planetarium, Museum of Science and Industry, or Field Museum. Indulge in a favorite Chicago pastime—retail therapy—with a shop and spa tour along the Magnificent Mile. Rent a bike and hit the pavement for a self-guided tour of Chicago’s vibrant and diverse neighborhoods. Set your paddle into the Chicago River on a leisurely 2.5-hour kayak tour past the skyscrapers of downtown Chicago. Both novice and experienced kayakers will be at ease on this excursion past sights such as the Civic Opera Building and the Marina City Towers. Hear fascinating tales of the Windy City as you gaze at a stunning architectural landscape from the water, just how the original Chicago natives originally navigated the area! Learn about Chicago’s brewpub scene and taste different types of craft beer on this guided, 4-hour brewery tour. Visit three unique breweries for craft beer samples plus an additional brewing production facility for an in-depth tour. Discover the science behind the brewing process, complete with step-by-step procedures, and enjoy approximately 50 ounces of beer total throughout the tour. Round-trip transportation in a Prohibition-era-styled barrel bus is included. Take a 2.5-3 hour gourmet dinner cruise on a high-end luxury yacht with the stunning skyline of Chicago as your backdrop. Climb aboard your recently renovated vessel, featuring a sumptuously-appointed rooftop lounge and stylish interior design, for your cruise along Lake Michigan. Then sit down for a 3-course dinner, informed by some of the world’s top celebrity chefs and composed of fresh ingredients cooked right on-board. After dinner, enjoy coffee and tea, captivating views of Chicago landmarks like the Willis (formerly Sears) Tower and John Hancock building, plus musical entertainment provided by the on-board DJ. Our axe throwing voucher lasts approximately one hour, and includes one-on-one instruction on how to safely throw an axe from our expert instructors. This offer is only valid from 6pm - 9pm Friday, 12pm - 3pm Saturday and 2pm - 5pm Sunday. Our coaches will be on hand to teach those who have never thrown an axe before, and offer tips on technique for more experienced throwers. Similar to public skating, skiing or swimming – throwing takes place on shared lanes in a public setting, and guests may need to make allowance for other participants based on guidance from your BATL coach. Participation amount may vary based on total attendance. Spectators of all ages are welcome and only charged a fee if they decide to throw an axe. Minimum age of 16 years old to throw. Take a stroll through the history of automobiles at the Volo Auto Museum, just outside Chicago. Car enthusiasts, families, and history buffs will all find something fascinating to discover at the museum. It is spread over 35 acres, with 33 exhibits to explore. See the classic cars, vintage bikes, exhibits devoted to trains, military vehicles, campers…even Batmobiles and Mickey Mouse. Chicago holds many treasures, but this experience helps you uncover the truth--the whole city is a gem. Guide yourself through the clues as you learn about the history of the city and its people. This Chicago scavenger hunt is a fun way to get oriented if you are new to the city, or challenge yourself to go deeper if you already know your way around. If you’ve ever dreamed of sailing away on your own private sailboat, this is the perfect excursion for you. You and up to five other invited guests will have the exclusive use of a sailboat, complete with captain and crew for the duration of your tour. Sail on Lake Michigan and enjoy the sights of Chicago’s striking skyline. If you want, you could even take a turn at the helm. Bring your own group to River North in Chicago to play the Prison Escape Game. Using creativity and teamwork, work to solve a series of clues within one hour in order to escape before your time runs out. Perfect for groups of work colleagues, friends, and family. Spend a day shopping at the premier name brand shopping destination in the Chicago metro area, Chicago Premium Outlets. Featuring prominent international and American designer brands at discounted prices, you'll find deep discounts at stores like Nike, Armani, Calvin Klein, Kate Spade, 7 for All Mankind, and much more inside the outlet mall. The tour includes pickup and drop-off from Chicago hotels and five hours of on-the-ground shopping time. Discover the best of Chicago’s local brews and comedic history on a 2.5-hour craft beer tour. Follow your guide to Old Town bars, including Old Town Ale House and Burton Place. Taste a wide range of locally produced beers, along with a free snack. Along the way, learn all about Chicago’s historical and thriving comedy scene with stops by Second City and Zanies. Experience the thrill of skydiving, without jumping out of a plane, in a vertical wind tunnel. Offered every half hour from 9am to 10pm, you can easily find a time slot that works for you. After small-group training, enjoy two solo sessions in the tunnel during which you float atop wind speeds as fast as 175 mph (282 kph). Feel secure with a guide giving you one-on-one coaching during each 60-second session. Discover Chicago's many delights from the comfort of two wheels. Simply pick up your full-day bike rental with lock, map and helmet and start exploring, either solo or with friends. Make your way through Millennium Park and to historic Wrigley Field, stop for a visit at Navy Pier or spend a couple hours watching sea turtles, penguins and even a piranha at Shedd Aquarium. You get to tour Chicago independently at your own pace and leisure without having to deal with parking or public transit. A valuable piece of artwork has gone missing, and you and your team are tasked with finding it. Work together to solve clues, riddles, and puzzles in order to locate and recover the missing artwork. Succeed, and be hailed as national heroes. Fail, and face the wrath of the authorities. Go skydiving in Indiana at a location situated only a 1-hour train ride from Chicago, making it easy to reach without a car. Your instructor provides all necessary equipment and training for your jump, then accompanies you on the tandem skydiving experience from 14,000 feet (4,267 meters). See Lake Michigan and perhaps the Chicago skyline from the air, and purchase video and photos of your jump if you wish.